Belle wishes she didn't understand people language, especially words like sit, stay, and come. Those commands take the fun out of being a pet. Worse, Belle's owner Darcy is so busy with school, soccer, and singing that she hardly has time to play with Belle. In search of fun, Belle digs out of the yard, knocks over waste baskets, and encourages Darcy's other dog Buster into all kinds of mischief. Darcy's furious parents threaten to find a new home for the disobedient dog. Darcy enrolls Belle in agility training to teach her discipline. Determined to stay with her beloved mistress, Belle takes on the challenging sport, discovering along the way that discipline means far more than an angry word. It means coping with Big Toby, her former tormentor, and keeping an eye out for Bonehead, Toby's cruel father, and mastering the terrifying agility obstacle, the teeter totter. Can she focus her new found discipline to overcome her fear and succeed? Download the FREE companion Activity Book. This book is perfect for teachers, counselors, or others to reinforce the lessons learned in reading Belle's Trial. Teachers, Counselors, Animal Shelters and other groups. Print out this order form and mail it to us to order copies of Belle's Trial for use in class or fund raisers. Let us know the name of your organization and we will give you a 40% discount off your order! 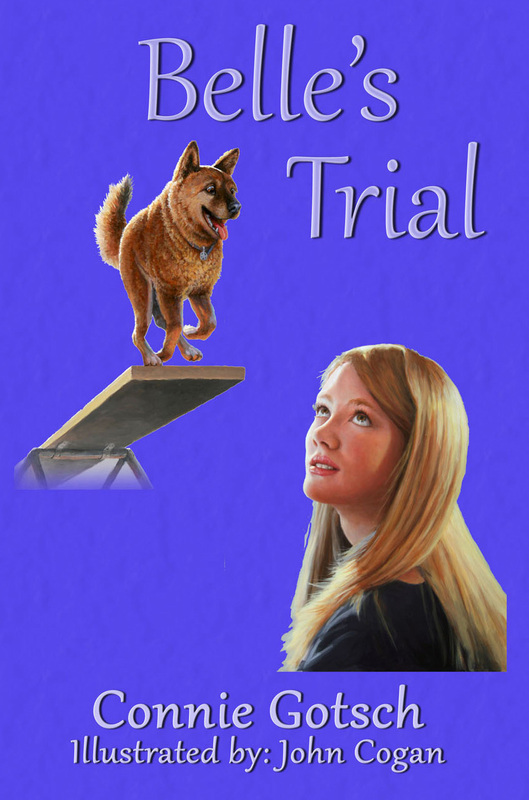 Belle's Trial is now available as a downloadable e-book from Amazon Kindle. Donload a copy of Belle's Trial for only $2.99! A partnership of master and pet is one that has much to teach us all involved. "Belle's Trail" tells the story of Belle and Darcy, a human/canine pair who ffind themselves in agility training. Belle the dog has a lot asked of her and learns much of discipline. A fun read for any pet lover, "Belle's Trail" is a thoughtful and very highly recommended read.